San Francisco Liquor Licenses | License Locators, Inc. Securing a liquor license in California means navigating a cache of different challenges and hurdles, from zoning permits to legal stipulations. In order to open an alcohol-serving restaurant or nightlife venue, you’ll need to have the proper liquor license in San Francisco. Whether you’re looking to purchase a license for beer and wine or a full liquor permit, License Locators can help you find the best permit for your individual aims at the best price. 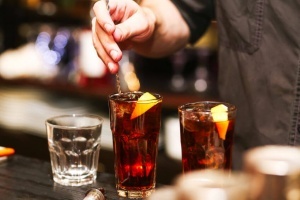 Because San Francisco is a highly saturated metropolitan area, fierce competition in the restaurant industry means securing liquor licenses in San Francisco can be extremely difficult as new licenses are no longer issued. Due to the high volume of entrepreneurs looking to open establishments that serve alcohol, liquor licenses in San Francisco can be very expensive, and hard to locate. License Locators can put you into contact with individuals looking to sell their San Francisco liquor license. A Type 47 liquor license allows proprietors to sell hard liquor in conjunction with wine and beer, and it’s one of the most sought-after alcohol permits. That means prices for these types of liquor licenses in San Francisco can easily cost hundreds of thousands of dollars. With prices being as they are, it’s essential to use a brokerage service like License Locators to help guide you through the process and find the best price available. Are you looking to sell your liquor license? Our agents can help you secure the best prices from eager buyers. When you’re in the market to buy liquor licenses, let License Locators guide your path and garner you the fairest price on an alcohol license for your business. Whether you’re in search of simple beer and wine licenses or you need a San Francisco liquor license that allows you to serve a variety of spirits in your restaurant, you’ll find the alcohol permits you require through License Locators, Inc.